The Diwali festive season is here and many of us would be buying gifts for ourselves or our loved ones. If you are thinking to buy a smartphone, here’s a comprehensive list of the absolute best smartphones in the market right now. No matter what your price budget is, you would find a good smartphone for yourself or for gifting it to your family or friends. Disclaimer: Every reader might have their own opinions and choices. These choices might not satisfy everyone. I have listed these smartphones according to our personal experiences with these devices. After having a look at the offerings from Xiaomi, and the value for money that they offer, it is hard to suggest smartphones from other brands in their respective price ranges. The Xiaomi Redmi 1S is hands down, the best smartphone in its price range. It comes with an HD IPS LCD display, a quad-core processor, 1GB of RAM, and 8GB of internal storage. Even though it has slight problems with the amount of free RAM under heavy usage, and some heating issues, but the great image quality from its 8MP camera which can also record 1080p videos will melt your heart. Asus Zenfone 4 A450CG: I personally do not like the MIUI from Xiaomi, you can have a look at the Asus Zenfone 4 A450CG which comes with a 4.5-inch FWVGA screen, dual-core Intel Atom processor, 1GB of RAM, and a 5MP camera with 1080p video recording. Android One Smartphones: Smartphones in this price range might not get continuous software updates. So, if you want Nexus like software support, go with the Android One smartphones; Spice Dream UNO, Micromax Canvas A1, and Karbonn Sparkle V. All of them are being supported directly by Google and will be updated to Android v5.0 Lollipop very soon. I would have referred to the Asus Zenfone 5 as the best smartphone in this price range but after a recent price drop to Rs. 8,990, the Motorola Moto G (2013) has become the price segment leader. It might not have 2GB of RAM or 1080p video recording, this dual-SIM Android smartphone still comes out as the best overall smartphone, thanks to its solid build, loud loudspeaker, sharp screen, extremely smooth UI, and long battery life. Asus Zenfone 5 8GB: The Zenfone 5 comes with a 5-inch HD display, dual-SIM card slot, and runs on nicely designed Android 4.4 KitKat based UI. It does effortless multitasking, thanks to dual-core Intel Atom processor, 2GB of RAM, and 8GB of internal storage. Lava Iris X1 (8GB ROM): If you want a good-looking smartphone, the Lava Iris X1 might be your choice. It comes with a glass back and metal frames. It features a 4.5-inch FWVGA screen, an 8-megapixel BSI camera sensor with dual-LED flash, 1080p video recording, and a 2-megapixel secondary camera. It runs Android 4.4 KitKat, and is powered by a quad-core processor, 1GB of RAM, and 8GB of ROM. Undoubtedly, the Xiaomi Mi 3 is the best smartphone in its price range but you will find it very hard to get this device as its stock keeps flip-flopping. It features a 5-inch 1080p IPS LCD display, a 13-megapixel camera with 1080p video recording, and a 2-megapixel front-facing camera. It features all the latest connectivity options and lasts long too. 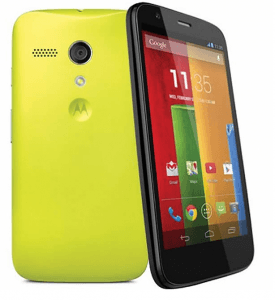 Motorola Moto G (2014): A small iteration to the last years model, the Moto G (2014) is one of the best device in its price range. It comes with a larger 5-inch HD IPS LCD display, front-facing stereo speakers, and an 8-megapixel camera with relatively better image quality. Nokia Lumia 730 Dual SIM: If you are a Nokia (err.. Microsoft) loyalist or a selfie-crazy person, get the Nokia Lumia 730 Dual SIM. It comes with a 4.7-inch HD OLED display, a 6.7-megapixel primary camera with 1080p video recording, and a 5-megapixel front-facing camera. It comes pre-loaded with Windows Phone 8.1 operating system, features dual-SIM card slot, and a 2,200 mAh battery. BlackBerry Z3: On the contrary, if you are a BlackBerry fan, or want a QWERTY keyboard equipped smartphone, the BlackBerry Z3 would be your only choice. It features a 5-inch qHD display, QWERTY keyboard, BlackBerry 10.2.1 operating system, quad-core Snapdragon 400 processor, 1GB of RAM, and a 2,500 mAh battery. 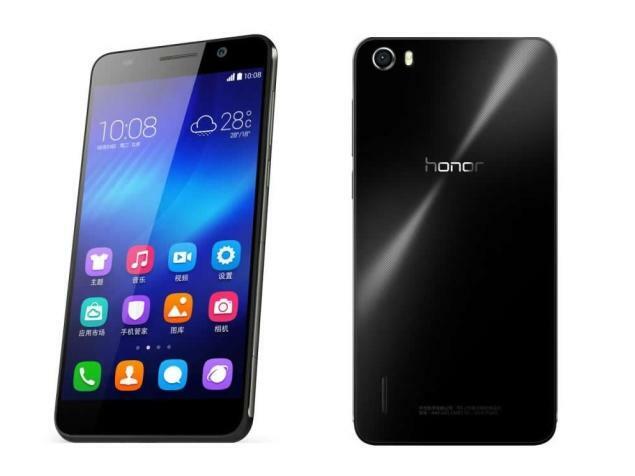 The Huawei Honor 6 is by far, the best all-round smartphone under the price range of Rs. 20,000. It features a 5-inch 1080p display, Android 4.4 KitKat, a 13-megapixel camera, and a 5-megapixel camera. It is powered by a 1.7GHz octa-core HiSilicon Kirin 920 processor, 3GB of RAM, 16GB of internal storage, and a 3,000 mAh battery. 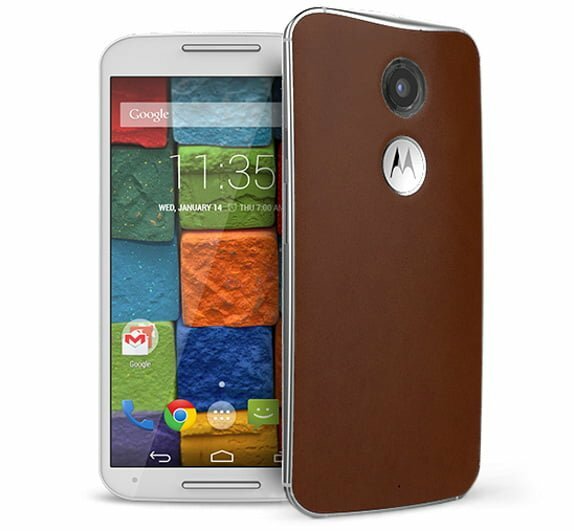 Motorola Moto X (2013): Priced at Rs. 17,999, the Motorola Moto X (2013) is still a very good choice, though a little older. It comes with an always active 720p HD AMOLED display, Snapdragon S4 Pro processor, 2GB of RAM, 16GB of internal storage, 10-megapixel camera, and a promise of Android 5.0 Lollipop update. Sony Xperia C3: If you are a selfie-obsessed person, or a lover of thin smartphones, the Sony Xperia C3 might suit you well. This dual-SIM smartphones features a an 8-megapixel primary camera, and a 5-megapixel front-facing camera with LED flash on the front for better selfie in low light. It is powered by a quad-core Snapdragon 400 processor, 1GB of RAM, and a 5.5-inch HD display. Nokia Lumia 1320: If you want a large screen, and a very long battery life, you should consider the Nokia Lumia 1320. It features a 6-inch HD display, 5-megapixel camera, 1080p video recording, quad-core Snapdragon 400 processor, 1GB of RAM, 8GB of internal storage, and a 3,400 mAh battery. The HTC Desire 816 is one of the best smartphones from HTC till date. It features a 5.5-inch HD display, a 13-megapixel camera, 1080p video recording, and a 5-megapixel front-facing camera. 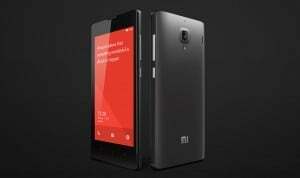 It is powered by a quad-core Snapdragon 400 processor, 1.5GB of ROM, and 8GB of internal storage space. It also comes with dual Nano-SIM card slot along with a 2,600 mAh battery. LG G2: It is absolutely hard to choose a device between LG G2, and the Sony Xperia Z2. This is why I am listing both the devices. The LG G2 comes with a gorgeous 5.2-inch 1080p IPS LCD display, a 13-megapixel camera with OIS, Snapdragon 800 processor, 2GB of RAM, 16GB of internal storage, and a long-lasting 3,000 mAh battery. Sony Xperia Z1: The Sony Xperia Z1 comes with its own set of interesting features. It is a water-resistant, dust-resistant, and shatter-proof device with a 20.7-megapixel camera and gorgeously rich design. It comes with a 5-inch 1080p display, Snapdragon 800 processor, 2GB of RAM, 16GB of internal storage, and a 3,000 mAh battery. The Motorola Moto X (2014) might be one of the best Android smartphones of the year, especially if you are considering the experience of using a smartphone. Its rich design includes rigid metal frame and an option of real leather back or a bamboo back. It is stuffed with top-notch hardware such as a 5.2-inch 1080p AMOLED display, 13-megapixel camera with dual-LED ring flash, 4K video recording, Snapdragon 801 processor, 2GB of RAM, 16GB of internal storage, and a 2,300 mAh battery. Samsung Galaxy S5: Even though not listed as the best device in its price range, the Galaxy S5 earns accolades for its excellent 5.1-inch 1080p Super AMOLED display, octal-core Exynos 5420 processor, 2GB of RAM, and 16GB of internal storage. Its 16-megapixel ISOCELL camera is considered as one of the best smartphone cameras in the world. It comes with a fingerprint scanner, a heart-rate monitor, and S Health application for fitness and activity tracking. 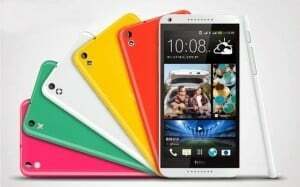 HTC One E8 Dual SIM: It is the more practical version of the HTC One M8. It features the same 5.2-inch 1080p SLCD3 display, Snapdragon 801 processor, 2GB of RAM, 16GB of internal storage space, and Android 4.4.4 KitKat. But it comes with a conventional 13-megapixel camera sensor with 1080p video recording, a 5-megapixel front-facing camera, and a dual-SIM card slot. 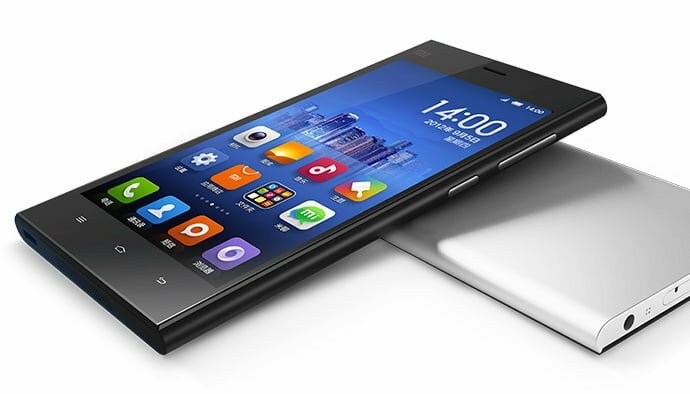 Lenovo Vibe Z2 Pro: The Lenovo Vibe Z2 Pro might be the most feature packed smartphone in its price range. It features a 6-inch QHD display, Snapdragon 801 processor, 3GB of RAM, and 32GB of internal storage. There’s a 16-megapixel camera with 4K video recording, OIS, and a dual-LED flash. There’s Android 4.4 KitKat under Lenovo’s custom UI but supposedly, it has an option to use stock Android UI. There’s 4G LTE connectivity, dual-SIM card slot, and a huge 4,000 mAh battery. There is no clear winner in this price segment, so I have listed all the considerable smartphones. HTC One M8: Portrayed as the iPhone of the Android world, the HTC One M8 comes with a solid metal unibody design, powerful Snapdragon 801 processor, best implementation of Android 4.4 KitKat yet, a 4-megapixel UltraPixel camera, 4G LTE connectivity, and a long-lasting 2,600 mAh battery. Sony Xperia Z2: Sony makes some terrific Android smartphones and the Xperia Z2 is one of their best implementations yet. It features a 5.2-inch 1080p IPS LCD display, Android 4.4 KitKat, a Snapdragon 801 processor, 20.7-megapixel camera, and a real long-lasting 3,200 mAh battery. As usual, being a Sony smartphone, it is water- and dust-resistant. Nokia Lumia 1520: If you like a large screen, a great camera, and a long-lasting battery, there’s nothing like the Nokia Lumia 1520. It has a great 6-inch 1080p AMOLED display, the best smartphone camera till date (a 20-megapixel PureView camera with OIS and 4K video recording), and a mammoth 3,400 mAh battery. LG G3: The LG G3 is the best smartphones from LG yet. It features a 5.5-inch QHD AH-IPS LCD display, Android 4.4 KitKat, a Snapdragon 801 processor, 3GB of RAM, and 32GB of internal storage. It is equipped with a great 13-megapixel camera with Laser Autofocus, 4K video recording, OIS, dual-LED flash, 1W loudspeaker, and a 2.1-megapixel front-facing camera. Samsung Galaxy Note 4: Released recently, the Samsung Galaxy Note 4 is the best high-end Android smartphone in the world. It features a 5.7-inch QHD Super AMOLED display, 16-megapixel camera with OIS, 4K video recording, and a 3.7-megapixel front-facing camera. It runs Android 4.4 KitKat, and is powered by a 64-bit octa-core Exynos 5433 processor, 3GB RAM, and 32GB of internal storage space. It comes with 4G LTE connectivity and a large 3,22o mAh battery. HTC One M8 (Dual SIM): The HTC One M8 (Dual SIM) is the only high-end dual-SIM smartphone in the market. It feature a 5.2-inch 1080p SLCD3 display, Android 4.4 KitKat, Snapdragon 801 processor, and 4-megapixel UltraPixel camera. Sony Xperia Z3 Compact: If you want a compact yet high-end smartphone, apart from the iPhone 6, the Sony Xperia Z3 Compact is the only smartphone choice. It comes with a 4.6-inch HD IPS LCD display, Android 4.4 KitKat, 20.7MP camera with 4K video recording, Snapdragon 801 processor, 2GB RAM, 16GB internal storage, and a 2,600 mAh battery. Apple iPhone 5S: If you want a fashionable and a no-nonsense smartphone with Apple’s rich content ecosystem, the iPhone 5S is a very good choice. It is a compact smartphone with a 4-inch Retina display, 64-bit dual-core A7 processor, 1GB RAM, and an 8-megapixel camera. It comes with 4G LTE connectivity and a fingerprint sensor for enhanced device security. Apple iPhone 6: I would’ve recommended the iPhone 6 Plus but I am skipping it due to he #BendGate issue that people are facing throughout the world. The Apple iPhone 6 features a 4.7-inch Retina HD display, 64-bit dual-core A8 processor, 1GB of RAM, an 8-megapixel camera with 1080p video recording at 60 fps, iOS 8.1 operating system, 4G LTE connectivity, fingerprint sensor, and a larger 1,810 mAh battery. Try this may help. after a few work arounds CM11 is now completely stable on my Xiaomi Redmi 1S so I did not go back to MIUI. try that if it does not work tell me the problem u face with CM11 I may try and help. Should not depend on price and spec alone to review a product. Anybody can cook a product using a recipe book. Soldering ICs to PCB and loading firmware is not a big business during these days. The real value of the product in a hyper competitive market rests on Hardware and Software optimization, Total Quality Management and the underlying queue of processes involved. After-Sale Service can not be ignored while selecting the brand. Nice comment man. Infact, quality of components is able to determine the life of the set.